Connects current political science to the core topics in American politics. 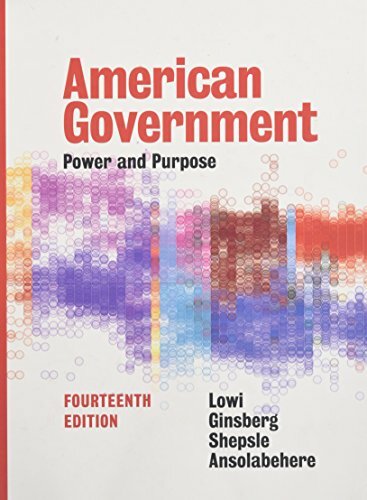 The text that professors trust to get students thinking analytically about American government now does more than any other text to help students understand the quantitative data they encounter in the course and in political news. The tightened and streamlined Fourteenth Edition also applies an analytical perspective to current policy issues in new “Policy Principle” sections.